Orchid bouquets usually come in white and/or purple. 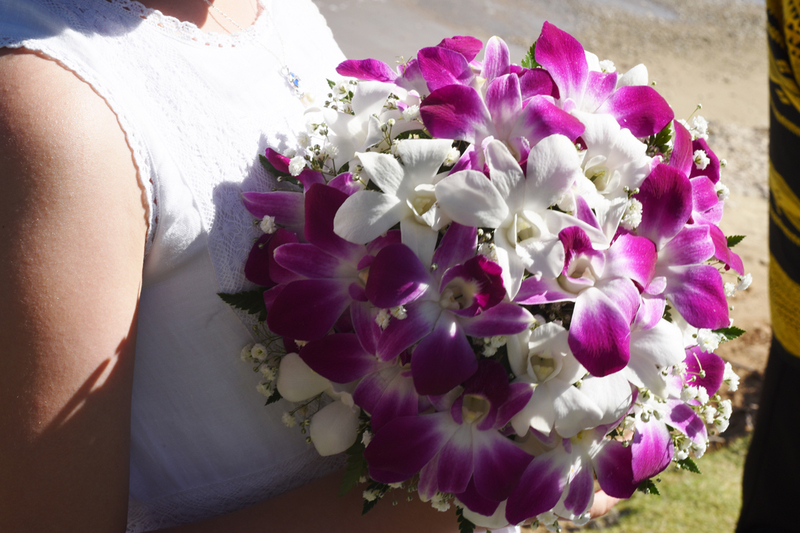 Here is a beautiful white and purple round bouquet. 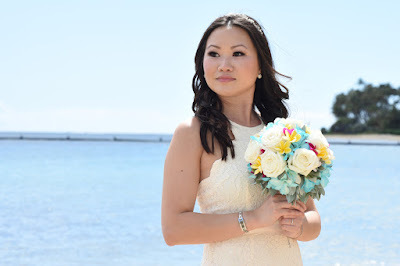 The Groom's flower lei can be used in a number of ways. Surprise him with a gift he wasn't expecting. 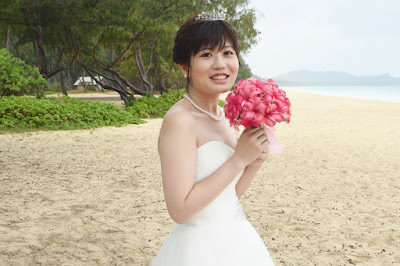 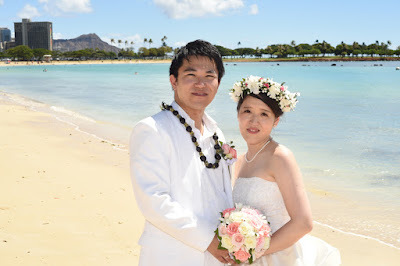 Lovely Japanese Bride makes a great model for the pink plumeria flower bouquet. Flowers add a touch of pretty color to an otherwise "low-color" photo. Looks like plumeria flowers are popular with Japanese Brides! 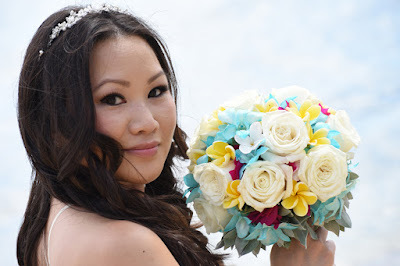 Also see SUZUMI at BridesofHawaii.com. 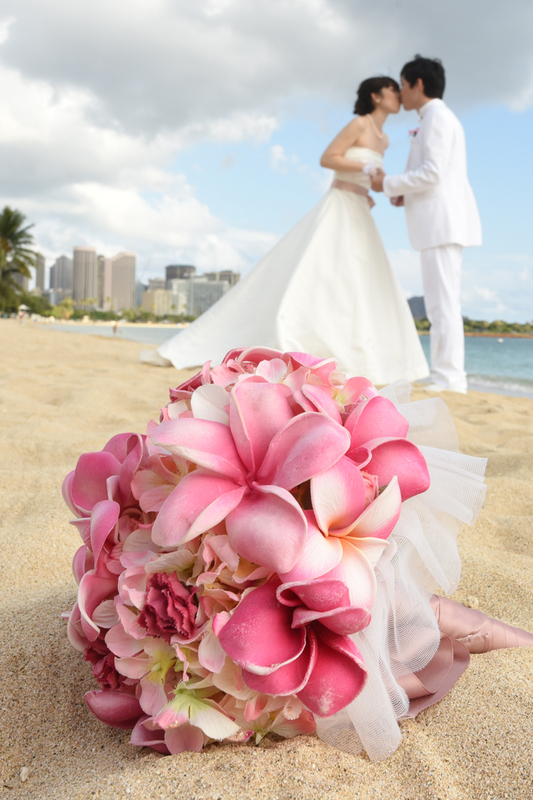 Gorgeous plumeria flower bouquet gives a tropical Hawaiian flavor to your wedding in the Islands. 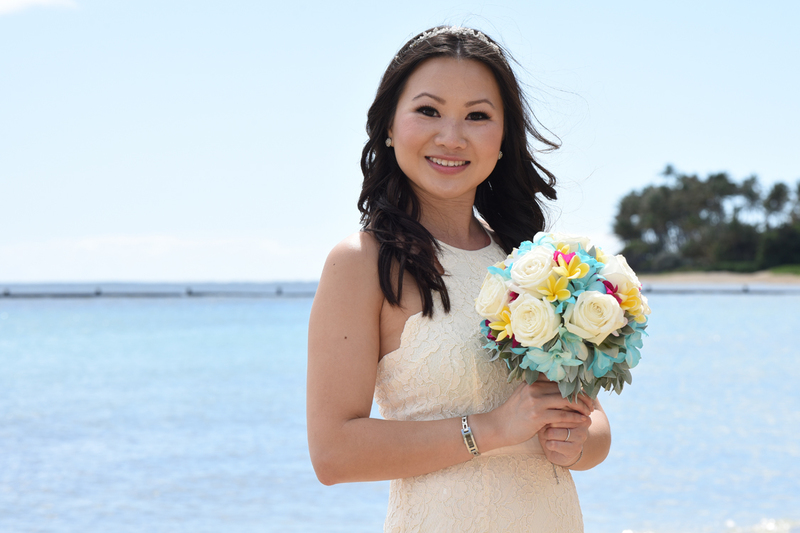 Gorgeous shot of the Bride with our blue and yellow Tropical Bouquet made by Mia Lee. 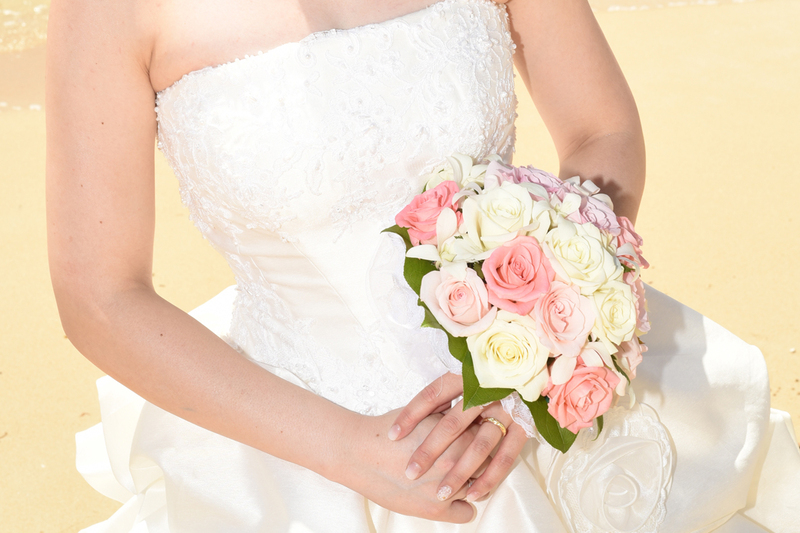 Beautiful three-color rose bouquet with ivory, soft pink and pink. 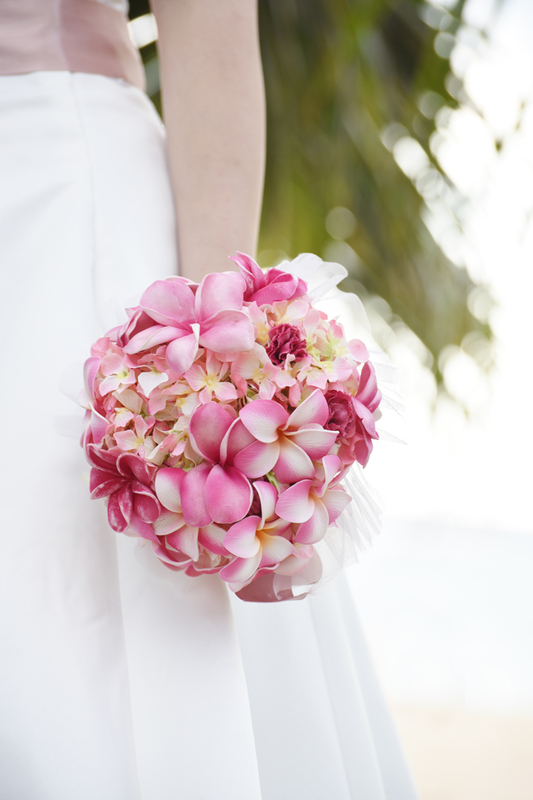 Plumeria is one of my favorite flowers. Looks great in tropical bouquets! 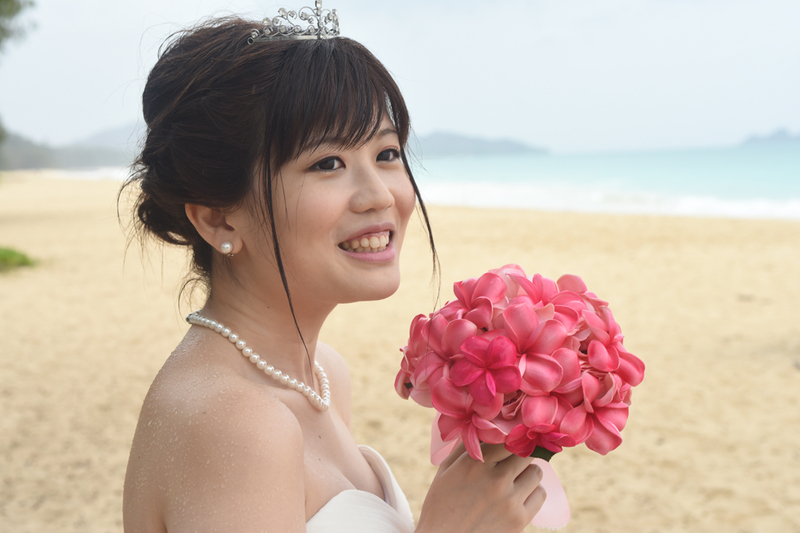 Flower model by Japanese Bride Tomomi.